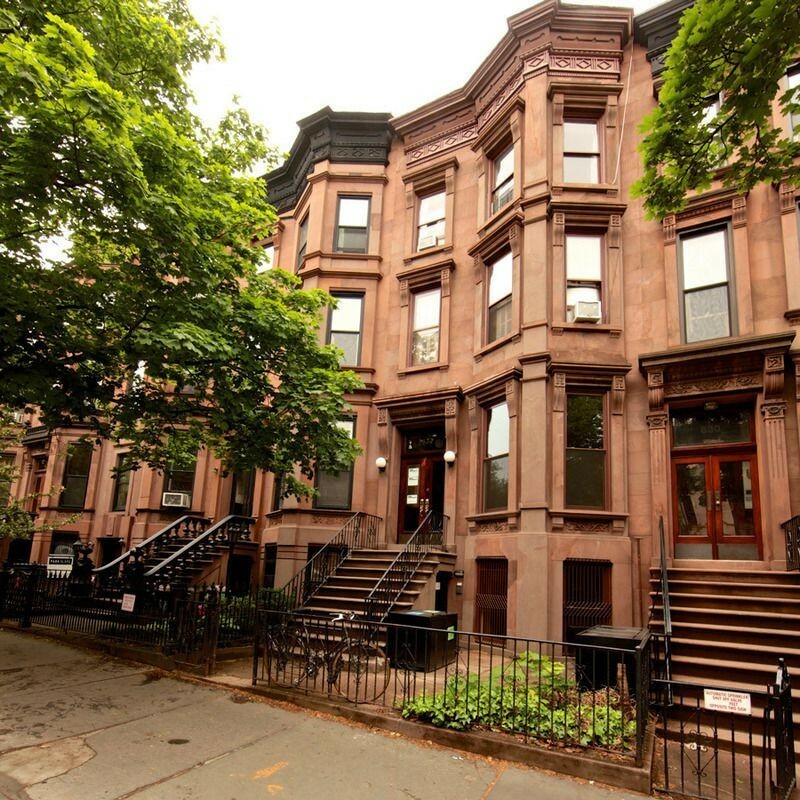 Several of the landlords who made the top 14 have classic, no-frills apartments in brownstone walkup buildings in Park Slope. When you're a renter looking for a place, researching your potential landlord is tough. There's a decent amount of information out there about the worst of the worst. Slumlords and tenant harassers get sued by tenants and activists, fined by the city, and written about in the news with some frequency, and the city Public Advocate's Office puts out an annual list of the most derelict among them. Less controversial, and therefore less discussed, are landlords who by and large keep their tenants happy. "It’s funny, when people are happy with a place, they don’t tell you too much," says Steve Schaefer, a Brooklyn rental broker at Compass. "But when they’re unhappy, they want to tell you every last thing." To fill the void, Brick Underground is profiling the "best" landlords in each borough, using methodology similar to that of the public advocate. But whereas the city looks for landlords with the most building maintenance violations, our data partners at the website Rentlogic tabulate those with the least. Rentlogic's website and plugin grade apartment buildings based on their history of violations over the past four years, with a particular emphasis on the types of violations that directly impact residents' quality of life. For our ranking, we looked for landlords with the most A grades across the greatest number of buildings, the idea being that it's harder to maintain 20 buildings in different places than it is to maintain one. 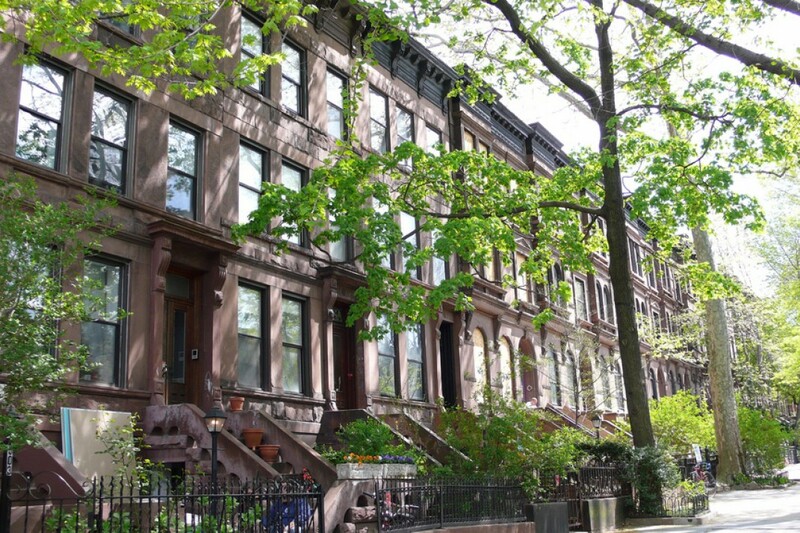 "Over the past decade, the Brooklyn residential market has really taken off with an influx of new renters choosing the borough over Manhattan for its culture and accessibility," says Rentlogic founder and CEO Yale Fox. "From Greenpoint to Downtown Brooklyn and Sunset Park, property owners have the opportunity to provide tenants with a fantastic living experience. Although there are plenty of landlords doing good work, we’ve highlighted a select few who demonstrate time and again their commitment to providing an exceptional living environment for their tenants." The list draws from Department of Housing Preservation and Development registration information, which can be difficult to parse in terms of who actually owns what. Every multifamily building in the city has to be registered with the city and list a specific owner, but because it’s common practice for building owners to obscure ownership through limited liability corporations, we are going solely off of the actual person listed for a given building in the registrations, who in many cases works for or runs a prominent company. Still, it’s not unusual for a company to also vary the people listed as owner from building to building, so the ownership data is admittedly imperfect. Also, we're strictly concerned with building maintenance over the past four years. Any other facts, positive or negative, are outside the confines of the ranking. To flesh out some of that context further—and to help you, the renter, distinguish among landlords and decide where to focus your search first—we did some research and consulted brokers who have worked with these landlords, as well as the landlords themselves. Here's what we found out. A mixed-use Berman Realty building at 88 Seventh Ave., in the heart of Park Slope. Berman Realty, headed up by Joseph Berman, has been renting apartments in Park Slope since 1969, when the neighborhood was still primarily working class but also increasingly in the sights of young professionals looking to brownstone neighborhoods as a new urban idyll. 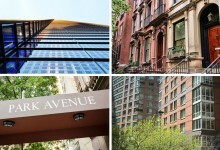 The Berman portfolio consists entirely of the types of buildings one thinks of in connection with Park Slope: prewar walkups, plus one prewar elevator building, and one 19th-century walkup in Brooklyn Heights. The Park Slope apartments are in prime Slope locations—think Seventh and Eighth avenues, near Grand Army Plaza and Prospect Park—but they're not necessarily the most lavishly renovated apartments around. "Berman is one of the old-school landlords around here," says John Mazurek, a Park Slope rental agent with Douglas Elliman. "Some of the other landlords around here are adapting with the times," by adding dishwashers, washer-dryers, and other updates to their prewar apartments, he says. Berman, on the other hand, "He has the old-school model." Then again, he says, "I haven’t heard anything bad about his management policies." Plus, Berman "rents a little less expensively than other people in the neighborhood," Mazurek says. The company has an in-house leasing office, so unless you're using an outside broker, you should be able to get a Berman apartment with no broker's fee. "They have character to them," Keller Williams broker Melissa Leifer says of Berman apartments. "And they’re not cookie-cutter. They’re amazing locations. They’re right in the middle." Joseph Berman declined to comment for this story. 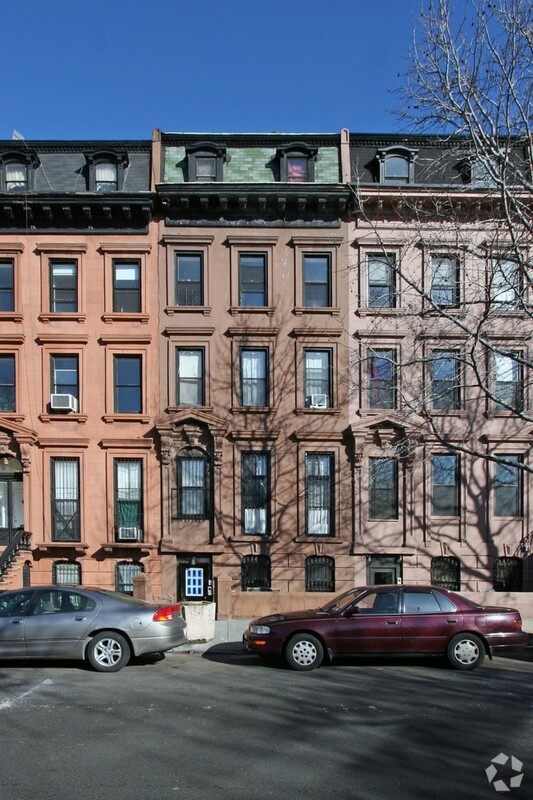 Owned by the Brahimy family, iBEC Living's portfolio includes prewar walkup and small elevator buildings in Crown Heights, the converted Clermont Armory building in Fort Greene, the prewar building that includes Greenlight Bookstore as a ground-floor tenant in Fort Greene, and a row of new townhouses in Boerum Hill. 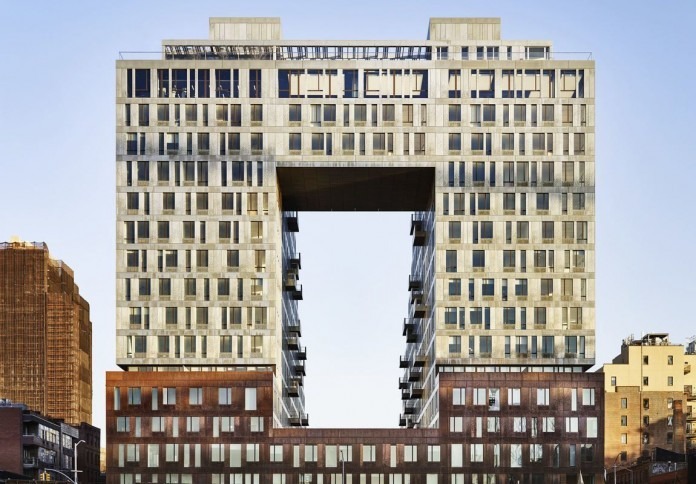 Compared to the new high-rise rental buildings in Downtown Brooklyn, iBEC's newer, bigger developments are "not towards the super top end," Leifer says. "There’s others that are a little bit more expensive." Still, these buildings have significant amenities. 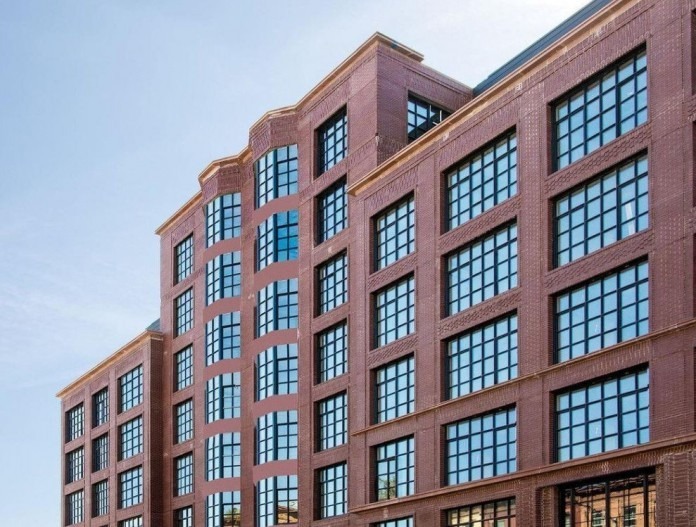 For example, State Renaissance Court, taking up most of a block of Schermerhorn Street, has 24-hour concierge service, a terrace, a gym, a pool, laundry, attended parking, and a live-in super. Looking for a landlord with a good reputation? Put your search in the hands of Triplemint, a tech-savvy real estate brokerage and Brick Underground partner founded by a pair of Yale grads in response to the frustrating apartment-search experiences of classmates and colleagues. Triplemint will give you the inside scoop on landlords and tailor your search to exactly what you need--whether it's your own washer/dryer, a landlord who's flexible about temporary walls, a rooftop pool, or a quick commute to your job. If you sign up here, they'll charge a broker's fee of 10 percent of a year's rent instead of the usual 12 to 15 percent on "open" listings. Bonus: The agents at Triplemint are a delight to deal with. Nailah Graves-Manns, a broker with DJK Residential, has rented apartments at the Clermont Armory, and says the approval process is "not long." She also notes that the apartments are rent-stabilized (through the J-51 tax break program, so the rents may look close to market, but they can only go up a certain amount each year). "This building is [a] good deal as the units are spacious and priced lower than the average brownstone unit in the neighborhood," she says, adding, "These units go fast!" The company allows tenants to pay rent online. The Driggs, a 64-apartment Rabsky Group building built in 2012 on North 10th Street, near McCarren Park and Bedford Avenue. A major Brooklyn developer concentrated on North Brooklyn, Rabsky Group is one of three companies building big apartment buildings on the former site of the Rheingold Brewery in Bushwick. Rabsky's owners angered housing activists when they and another developer reneged on an affordable housing promise by the site's previous owner, shaving 88 discounted apartments off the two proposed complex so that when the projects wrap they'll only provide the 20 percent required by law. That Rabsky building has yet to fully open, though Rabsky is now accepting applications for the remaining below-market units. David Korn, president of Fiddler Realty, which handles leasing for Rabsky, says the Rheingold building will open in August. In the meantime, there are lots of Rabsky developments up and running around the borough. The buildings are new construction, and tend to be mid-rise, and anywhere from eight to 200 units. Apartments rent at or a little bit above typical rates for their neighborhoods. The buildings are heavily amenitized, with bike rooms, gyms, in-room or in-building laundry, package rooms, parking, concierge service, central air, dishwashers, and outdoor space all common. Also, they typically have virtual doormen systems, or in some cases actual doormen. In the neighborhoods they work in, "They were one of the first ones to bring in luxury full-service buildings," Korn says. "They put in a lot of effort into the design in the buildings." Rabsky buildings also have online portals where tenants can file maintenance requests and pay rent. They have a weight limit on dogs, but are also open to discussing bigger dogs, Korn says, so long as they're not aggressive or noisy. The day-to-day experience of living in a big developer's building often has more to do with the organization's choice of property management company than the developer itself, according to Compass's Steve Schaefer. "The thing with those new development buildings is you’ll have a management group who’s running the building, but they’re not the one who put up the money and financed it," he says. "That’s also why things get lost in translation: a tenant thinks they’re dealing with the owner of the company, but it’s actually a subcontracted management company." This dynamic came into stark relief in 2015, when a malfunctioning elevator in the Rabsky building at 156 Hope St. in Williamsburg jolted upwards suddenly as a man was partway out of it, crushing him to death. Rabsky's go-to manager, Goose Property Management, responded by calling the death an "Act of God," prompting a Gothamist headline. A Department of Buildings spokeswoman tells us that the agency's investigation showed the elevator was overloaded at the time of the incident, and the elevator was defective. The elevator passed a re-inspection, and the DOB has proposed a rule requiring the maximum load to be posted in elevators, and for building owners to install overload detection systems for their elevators. An unassuming Zuzu Property Management building at 517 Graham Ave. (behind tree) in Greenpoint. For a sample listing: Click here. Run by disbarred lawyer John Imperatore, Zuzu Property Management keeps a low profile. Imperatore did not respond to requests for an interview. The company has some serious detractors on Yelp, but it also has some happy customers. None of the people who wrote things like, "Do not ever rent from zuzu. It will make your life a living hell" responded to our inquiries seeking additional information, either. That said, we're going purely off the numbers here, and housing inspectors have not found fault with a majority of these buildings lately. The buildings are unassuming, three-story, prewar walkups. Based on active and past listings, we can tell that the apartments tend toward the no-frills. Those currently for rent don't seem to have been fully renovated lately, and the kitchens are small, without many cabinets. The stoves and fridges are stainless-steel, if that makes a difference to you. The general lack of pizzazz is reflected in the rents, which seem cheap for the neighborhoods. For example, this three bedroom in Greenpoint is listed for $2,650 a month, well below the neighborhood median of $3,773 for a comparable apartment. Most brokers we spoke to hadn't heard of or didn't have much to say about Zuzu. One agent, Kristen Jock, of Corcoran, worked with Imperatore on the sales side and found him to be realistic about finances. This matters to tenants, she says, because landlords grounded in reality "don't resort to gouging tenants or neglecting the building." Zuzu specifically, she says, "are very responsive and orderly with requests from brokers and tenants. Overall, I think [Imperatore] is a responsible investor, which translates to a responsible landlord." One of Arnold Rosenshein's buildings, 1504 Eighth Ave. in Park Slope. A peer of Berman Realty and another entry on the list, Kotsonis Management, Arnold Rosenshein is a longtime independent landlord focused on Park Slope. His apartments, Leifer says, are "quintessential Brooklyn apartments. Prewar buildings, walkups." "He’s a very fair landlord," says Michael Colombo, a broker with Ideal Properties Group. "They’re good condition. Priced right at market rate." Rosenshein is another "old-school Brooklyn landlord," according to Colombo. "We’re not talking brand new updates. We’re not talking online payments," he says. "But done with an eye to keeping everyone happy." When it comes to amenities, there's only so much you can do with the limited space of a brownstone, and only so much return on big new features like roof decks for a handful of tenants. However, an active listing for a Rosenshein apartment does show a dishwasher and a washer-dryer in the apartment. Colombo says Rosenshein is also flexible with pets, including, at most buildings, allowing larger dogs and multiple dogs on a case-by-case basis, with approval and a deposit. In the context of landlord-tenant relations, it's worth noting a few dings on Rosenshein's record. In 1995, Rosenshein was one of four people fined $40,000 by the city for discriminating against African-American tenants by including a code on his listings that signaled to brokers that he did not want black or Hispanic renters viewing apartments, according to a New York Times report. Also, in 1980, a judge found someone by Rosenshein's name to have shown "a clear pattern of malevolent withholding of services" from tenants at an Upper East Side building that he and a partner were trying to turn co-op. The judge ruled that the landlords withheld heat, hot water, and elevator service, removed lobby furniture, left the lobby door broken, slowed down garbage service, and reduced building staff. The judge fined the owners $25,000. Rosenshein did not respond to messages left at a number listed for him. Two Trees' new, doughnut-shaped building at 325 Kent Ave., on the former Domino Sugar factory site on the Williamsburg waterfront. Two Trees is among the most famous landlords on the list. The company is best known for making an anonymous collection of old industrial buildings on the Brooklyn waterfront into the now-famous neighborhood of Dumbo, by converting said buildings into offices and apartments on a massive scale. More recently, the company, helmed by Jed and David Walentas, has poured its energy and capital into turning the former Domino Sugar factory on the East River in Williamsburg into a massive 2,300-apartment complex, including a tower with a hole in its middle and a repurposed part of the old sugar facility. Depending on the neighborhood and building, Two Trees tenants can expect distinctive industrial spaces with lots of panache—primarily in the factory conversions in Dumbo—as well as more utilitarian but still high-end apartments, like those on Court Street. "Two Trees is amazing," Mazurek says. "Their buildings are always clean, always nice always, updated." Price-wise, "For what they ask, they offer a good product," he says. The company is "at the top end in terms of amenities," Mazurek adds, and though its rents used to be toward the top of the market, he says developers of new towers in Downtown Brooklyn are now pushing prices even further, whereas Two Trees is "more fair." "If someone’s looking for a unique space, they’re a great option," Leifer says. "You remember them. They stand out on the skyline." The most striking buildings include the new, doughnut-shaped building at 325 Kent Ave., the triangular prow of the new tower at 300 Ashland Pl., near Atlantic Terminal along Flatbush Avenue, and, on the inside, buildings around Washington Street in Dumbo, particularly the new-construction 60 Water St.
"If you want to impress a client and they can afford it, that’s the place to take them," Leifer says of 60 Water, which has views of the Brooklyn Bridge. "It has that wow factor." In addition to roof decks, lounges, and eye-catching finishes, Two Trees buildings often have bike storage. 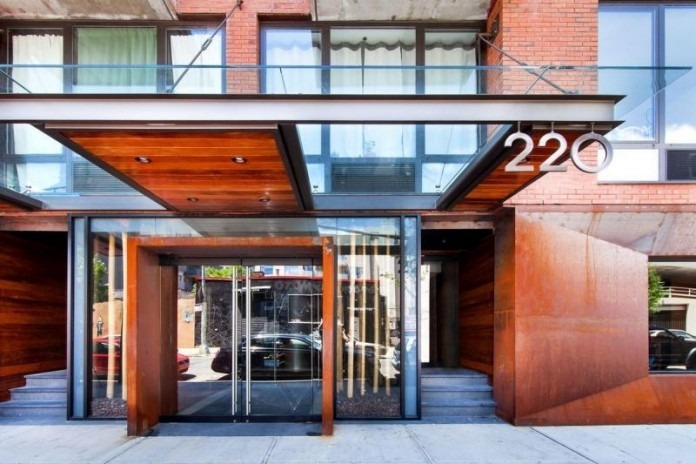 The more conventional Two Trees buildings in Cobble Hill and Brooklyn Heights are, Leifer says, "very popular with the two bed, two bath crowd. They need doormen and elevators for convenience and strollers, and that sort of thing." Rebecca Epstein, director of residential leasing for Two Tress, says that the company is increasingly hiring building staff from the hospitality industry. The company has its own leasing offices, and accepts online rent payments. 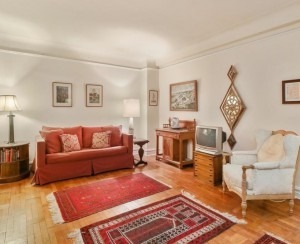 Prospective tenants can also now book apartment tours online, and sign leases electronically. And if you have a life change and want to move to another Two Trees building mid-lease, the company allows transfers within its portfolio for no fee, so long as you're moving to a comparably sized or bigger apartment, not a smaller one. One black spot on Two Trees' resume: A 2015 Pro Publica investigation found that the company collected $10 million in tax breaks, meant to promote affordable housing, for its building at 125 Court St., without providing the requisite rent-stabilized leases and rent rates to tenants there. Two Trees said the resulting $300,000 in rent overcharges were accidental, and that it credited the tenants the difference. Epstein declined to comment on what steps the company has taken since then to avoid similar overcharges. 235 Clermont Ave. in typical hill is typical of Jonathan Holman's small, Brownstone Brooklyn buildings. "We have four- and five-story walkups in downtown, brownstone Brooklyn," landlord Jonathan Holman tells us. "We're very intensely focused and maintenance-oriented." The operation is fairly low-profile, as there aren't a huge number of availabilities that come open, and they're easy enough to fill without intensive marketing. In fact, although the name "Holco Realty" appears in connection with some of his holdings, Holman says it's an old name, and at the moment, "We don't have a name." Holman's buildings are in the 4-10-apartment range, too small for it to make sense to have live-in supers. Instead, he says he's cultivated a network of on-call contractors who are "extraordinarily well-qualified." Holman says he has a high retention rate and doesn't charge over market rates. His philosophy, he says, is "It’s cheaper to do it right and spend the money and have everybody happy than try to save money" on repairs. Mazurek says that it's true that Holman is attentive to repair issues. "If you give him a maintenance complaint, somebody’ll just show up and it’ll get fixed," he says. "He prioritizes. If it’s a hinge that’s off, it won’t get as much attention as a toilet exploded, but it will get addressed. Whereas another landlord might say, 'Get a screwdriver, buddy.'" The operation is fairly low-tech—you can't pay your rent online, for instance—but Mazurek says Holman has "adapted to the times" by adding laundry rooms to his buildings. It's not uncommon for tenants to move between Holman buildings, and Holman says he's "very accommodating" if someone needs to break a lease and wants to line up subletters. Oh, and Holman is pro-dog. "We only require that the dog be friendly so we can get in the apartments," he says. He has no dog size limit because, as he explains, "Smaller dogs are the worst ones. They have something to prove. I had a Great Dane for nine years. The larger dogs are better behaved." 832 Union St., a building owned by Kotsonis Management, another mom-and-pop Park Slope mainstay. 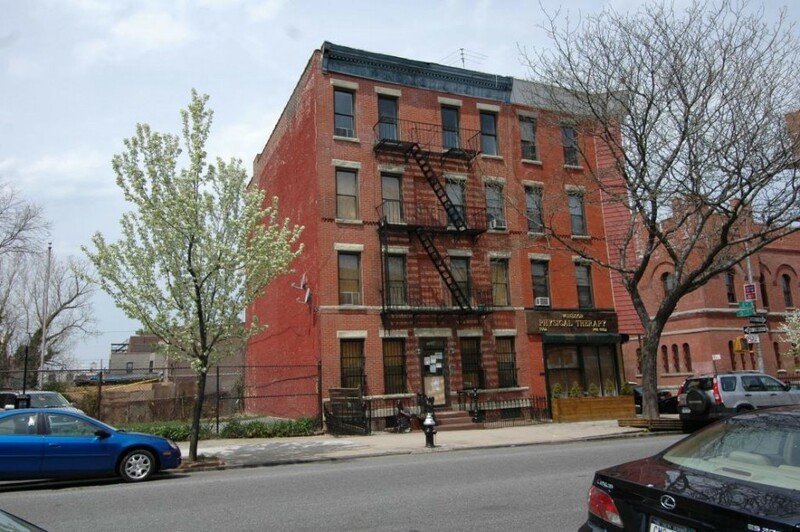 Kotsonis Management is another mom-and-pop Park Slope building owner, this one third-generation. 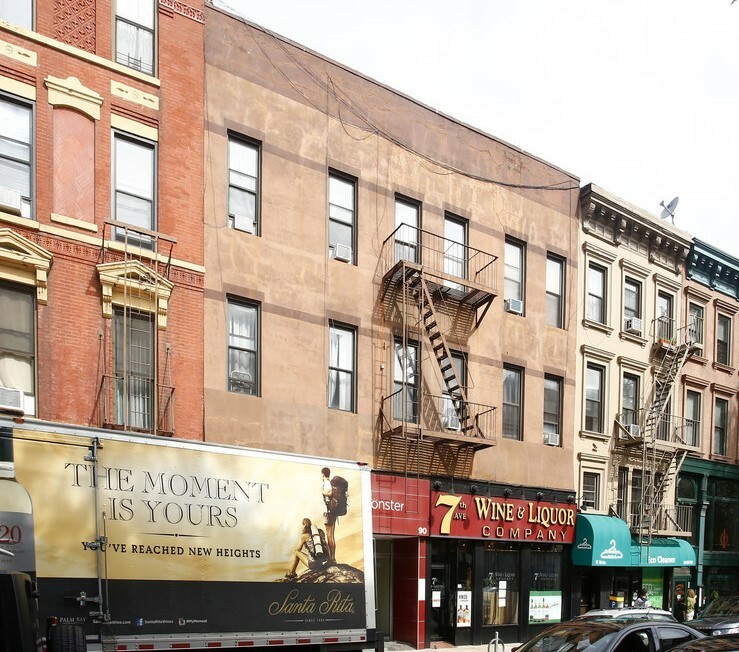 The company specializes in brownstones, with mostly one- and two-bedroom apartments, according to owner Nicholas Kotsonis. "We renovate them to a standard we always ask would we live in these buildings," Kotsonis says. From an outside perspective, that standard translates to: "The renovations aren’t as new as some of the others" in the neighborhood, according to Leifer. What's nice about that is, "That’s reflected in the price." Still, Kotsonis continues, "We have beautiful mahogany railings. We try to keep the old woodwork as much as we can. We put in the usual amenities: granite countertops, steel appliances, and Bosch washer-dryers in all our units. We have dishwashers, microwave ovens above the oven. In our bathrooms, we put shower doors. You come in and it should feel like you’re coming home." The portfolio includes prime addresses on Union Street and Prospect Park West, as well as slightly farther-flung ones. The brownstone setup is attractive to European expats, Kotsonis says. "People want their privacy, not to have the doorman know who’s coming going what hours they’re keeping," he says. "It's humane brownstone living." Kotsonis doesn't take rent payments online. He is open to negotiating about lease breaks, "depending on the circumstance." Most of the apartments are rent-stabilized, according to Kotsonis. Constrained by space from having live-in supers, he says he offers tenants the numbers of contractors he works with, so they can schedule agreed-upon work themselves. He describes his guiding philosophy as "keep it simple, stupid." "We’re not a faceless management company," Kotsonis says. "People know who they’re dealing with. Most of the time I’m at the lease signing. I’m within walking distance of 90 percent of our buildings." An Isidore Miller building at 258 Irving Ave., in Bushwick. This is another landlord with fairly basic options, priced at or slightly below the typical rent for Bushwick. "We have six-family buildings, railroad-style apartments," Miller says. Given the opportunity to toot his own horn, he demurred. "I wouldn’t say they stand out from the neighborhood," he says of his buildings. True to what Miller says, currently posted StreetEasy listings show basic apartments without all the bells and whistles of new construction, some with dated appliances and fixtures, and others with stainless steel and expansive new cabinets in the kitchen. "We're pretty simple, hands-on, basic, not very high-tech," Miller says. That said, you can email the management company about issues, and they do let tenants pay rent online. "We’re pretty... responsive, so if there’s ever issues we’re reasonable, and we're always looking to have a good relationship with our tenants," Miller says. A Chryseda Associates building, currently for sale, at 158 Garfield Pl. in Park Slope. Run by a man named Andy Pitsillos, Chryseda is a newer company with holdings a bit further afield from the high-priced Park Slope and Williamsburg turf staked out by some of the preceding landlords. The company is getting into the new-construction game, but its buildings are still mostly of an older, prewar vintage, and typically 2-4 stories tall. Pitsillos seems to be aiming to set his apartments apartments apart from some of his more humdrum neighbors with new renovations. "He usually tries to get them up to where they can include amenities that aren’t normally standard in the old Park Slope, Prospect Heights brownstones," Colombo says. "So he puts in dishwashers, washer-dryers." In this vein, 459 Bay Ridge Ave. in Bay Ridge is a classic, medium-sized prewar building that Chryseda has gut-renovated. Apartments there now have granite counters, shiny appliances, and video intercoms. Also, there's free basement storage, a free laundry room, and free bike storage. The $1,700 asking rent for a one bedroom there is on market for the neighborhood. 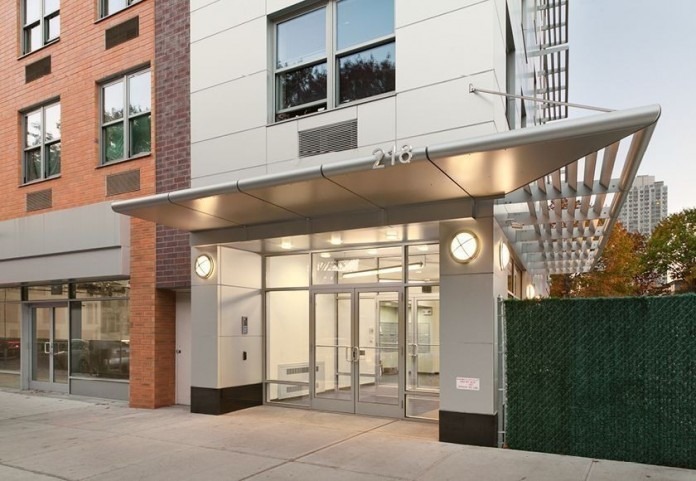 The building is also pet-friendly, according to Janine Acquafredda, a broker with Bay Ridge's House-N-Key, an allowance that she says is hard to come by in renovated apartments in the neighborhood. The amenities aren't just a glossy veneer, according to Mazurek. "He takes good care of his buildings," Mazurek says of Pitsillos. A prewar building in a string of prewar buildings owned by Stacey Athanail on 68th Street in Bensonhurst. 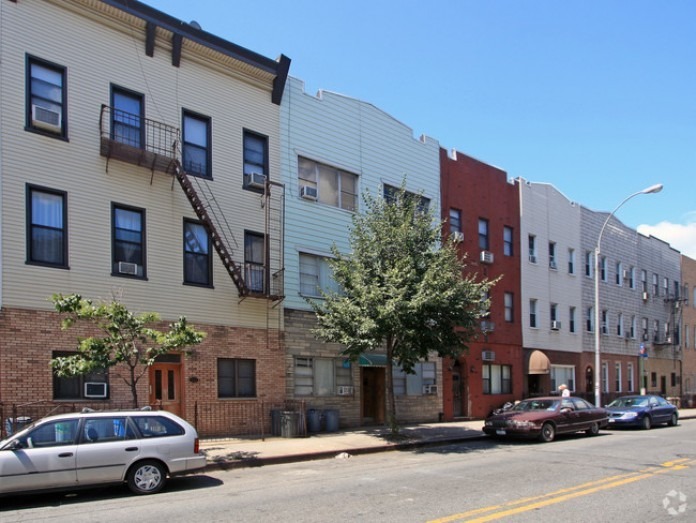 This small-time landlord owns prewar, mid-rise buildings in two clusters, on Bay Ridge Parkway in Bay Ridge, and 68th Street in Bensonhurst. 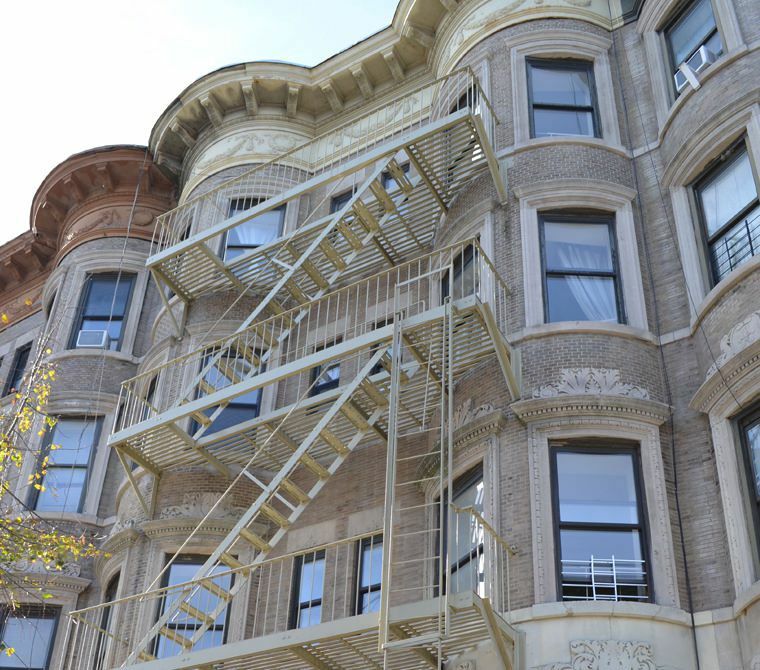 "They’re very well-kept," Acquafredda says of the Bay Ridge Parkway buildings. It helps, she says, that "Her family’s medical practices are in the buildings. It’s very much a family affair. It’s not just an investment property." The lobbies are ornate, and the buildings, Acquafredda says, are "not modern. They're not flashy. They don't come with a ton of amenities. It's what you can expect from old-school Bay Ridge. A lot of original details." Athranail did not return a call seeking further information. Heritage Equity's newest development, 564 St. Johns Pl. in Crown Heights. Heritage Equity Partners is a relatively new development firm run by Toby Moskovitz and Michael Lichtenstein. So far, they have specialized in big-ticket, high-end developments. In Williamsburg, they turned a former church into The Spire Lofts, a striking full-service building on North Sixth Street, steps from the Bedford Avenue L station. Heritage has quietly sold its shares in the church, according to broker Carey Larsen of Citi Habitats, who works in the company's buildings, but when the church apartments first rented in 2016, she says it set new high-water marks for rents in the neighborhood. Their latest project is an all new, nearly 200-unit building at 564 St. Johns Pl. in Crown Heights. The building is supposed to be Art Deco-inspired and complement the surrounding neighborhood. "They always have the most beautiful finishes," Larsen says. "In the new building, the bathrooms are floor to ceiling marble. I’d say they're condo-quality finishes." The building has, to put it politely, features and amenities up the wazoo. They include in-unit laundry, central air, dishwashers, a roof deck and balcony, a building bike room, a kids room, parking, a gym, a media room, a package room, storage, and a virtual doorman system. Also, Larsen says that included with every rental is the service Hello Alfred, a quasi-butler service that includes a monthly apartment cleaning, help setting up your utilities and arranging your move, dry-cleaning, grocery shopping, and even dog-walking. The roof has grills and a tanning area with showers, and will host movie nights when it's complete. Heritage is also in talks with the car-share company Car2Go to get share cars in the parking garage, Larsen says. As far as dogs go, Heritage takes all sizes. Larsen too invokes Great Danes to drive the point home. "They understand that a Great Dane is no different from a small dog in terms of the damage it can do," she says. For all this, it'll cost you. 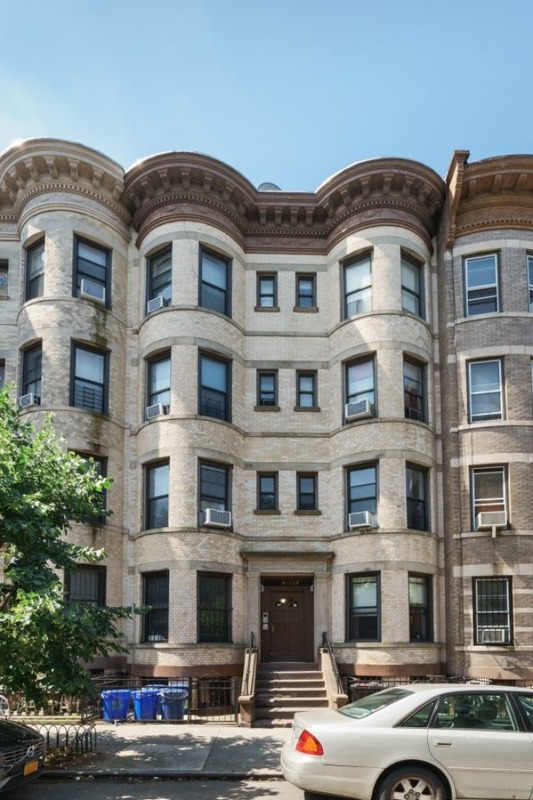 A two bedroom is currently listed for $4,600, more than $2,000 a month over a typical two bedroom in Crown Heights. "They really strive to make a product that’s special and unique to the market," Larsen says. "Their goal is to be better than everybody else." 535 Carlton Ave., part of the famed complex formerly known as Atlantic Yards. Best known in Brooklyn for masterminding the controversial Atlantic Yards mega-development, then selling most of it to the Chinese government, Greenland Forest City Partners has dropped the "Ratner" that used to be part of its name as longtime executive Bruce Ratner has stepped out of his leadership role, and the company itself seems to be winding down from its decades-long building spree. Still, it owns big apartment towers very close to Downtown Brooklyn, including three in the former Atlantic Yards, now officially called Pacific Park, and two of those buildings are rentals. Nearby 80 Dekalb Ave., built a decade ago at the edge of Fort Greene, is one of the first wave of Downtown Brooklyn-area residential skyscrapers. It's 36 stories, with doorman service, in-apartment laundry, a bike room, a gym, and parking. It was built before the current high-end apartment tower amenities arms race got into full swing. That you can see in full effect at the more recently completed Pacific Park buildings 535 Carlton Ave. and 461 Dean St. The latter tower was built using experimental modular construction, and has a doorman, a bike room, a play room, a gym, and valet parking, yes, but also, a baller roof deck. 535 Carlton has a terrace with a garden and a kids playroom, in addition to more staid services and amenities. 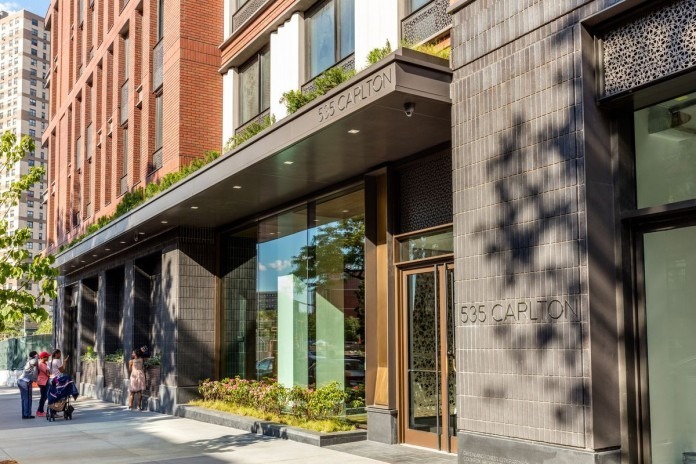 Of 535 Carlton, DJK's Graves-Manns says the application process is handled in-house, and that in the current market climate, you can expect concessions. Those concerned about the potential for a publicly traded real estate company with offices in the Midwest to feel impersonal need not worry here, Graves-Manns says, because there's management on-site. She's a fan of this, and also of the kids room. "It’s gigantic," she says. "There's a floor-to-ceiling chalk board. It’s a family-oriented building." 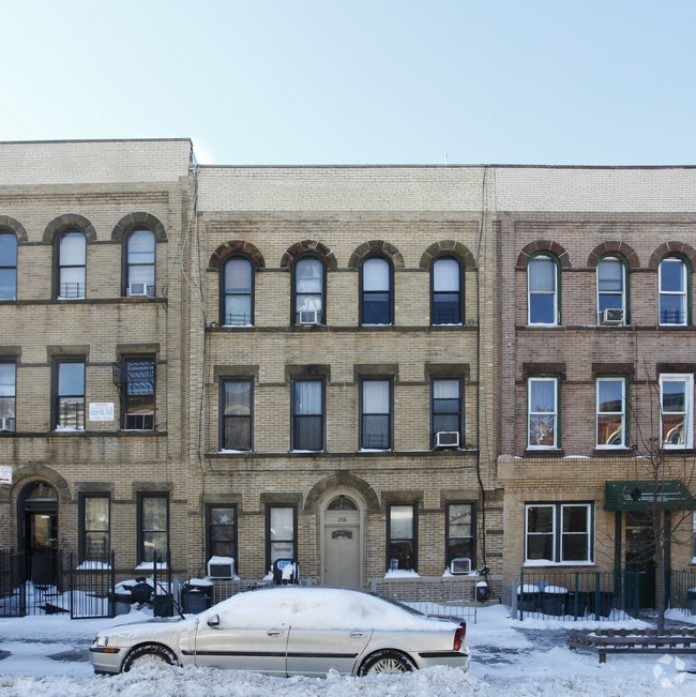 By comparison, the older 80 Dekalb, "While it is close to the DeKalb Avenue train station and there is a doorperson," she says, "the apartments are not as large compared to the newer surrounding buildings." The prices for both 80 Dekalb and 535 Carlton are high for their neighborhoods, but perhaps not when compared to other full-service, high-rise buildings nearby. The lease signings are very involved, according to Graves-Manns. "They dot every i and cross every t," she says. The Andrea, a newish Red Apple building on Myrtle Avenue near downtown. Owned by mayoral also-ran and Gristedes mogul John Catsimatidis, Red Apple developed four towers near Myrtle and Flatbush avenues (one didn't show up in our ranking due to a vagary of the data), and Catsimatidis named three of four of the buildings after family members. These are on the higher end when compared to surrounding walkups, but they're on a spectrum of pricey-ness. 218 Myrtle Ave. has no lobby staff, so it's the most basic. Compared to the other Red Apple buildings, 218 Myrtle is "much cheaper," Graves-Manns says. She has placed clients in the buildings, and has three friends who have lived in them, one of whom moved between 218 Myrtle and 81 Fleet Pl. At 218 Myrtle, one drawback is that, "It’s hard to keep the odor down when someone’s cooking next door to you," Graves-Manns says. On the bright side, "It’s super convenient because the grocery store is literally right downstairs." Also, the building just got a patio. Nearby 81 Fleet Pl., the Giovanni, is fancier. It has concierge service, a gym, a playroom, lounges, and an office area. One of Graves-Manns's friends there has a balcony that spans 600 square feet. "That's something that's rare," she says. On balance, her three friends at 81 Fleet are happy to have made the jump from Greenwich Village, where they were paying the same or slightly less for cramped spaces with no amenities. Where they are now, "It has all the bells and whistles," she says. Recently completed 86 Fleet Pl. is pricier still, with a three bedroom currently asking $8,000 a month. By contrast, a two bedroom, two bath at 218 Myrtle recently rented for $3,250, right around the median for a two bedroom in the neighborhood.